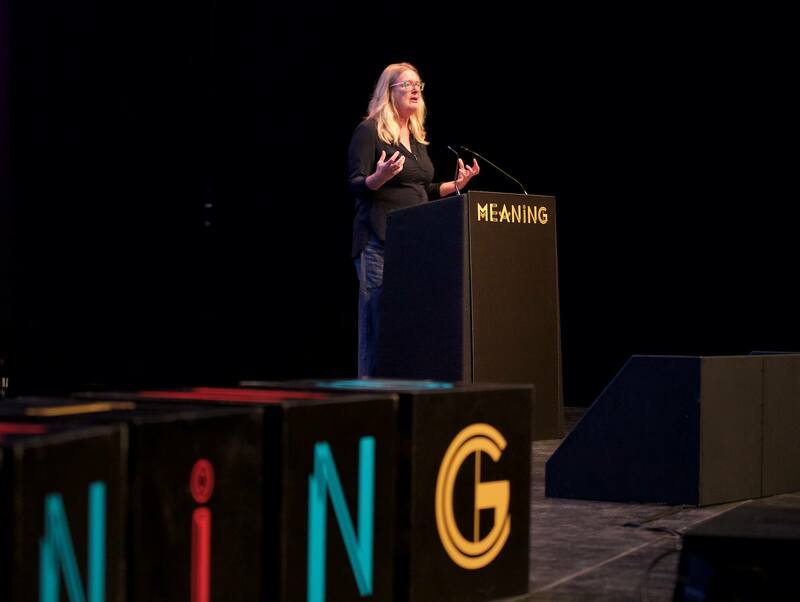 “Meaning is not a fad – meaning is who we are. It’s fundamental. Meaning is our anchor in times of turmoil, and it’s our compass when we need direction,” says Marjolien Lips-Wiersma. 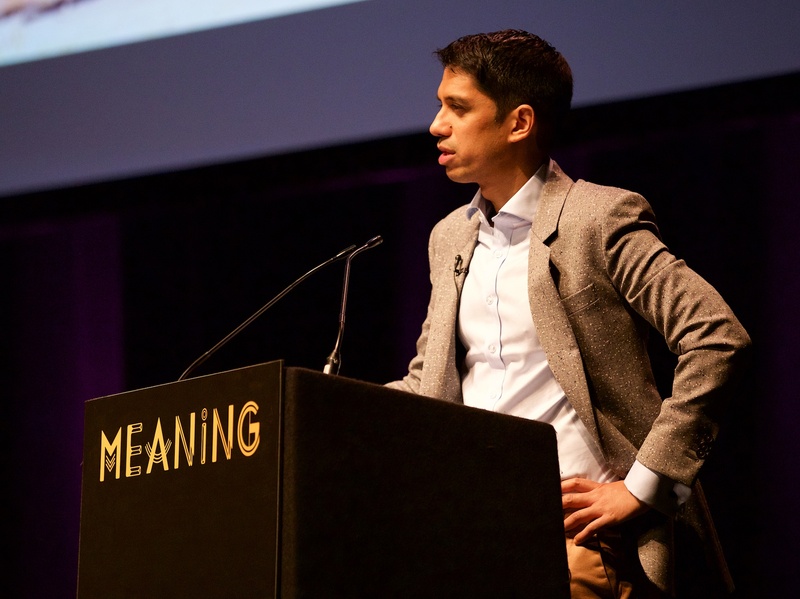 “In order to truly understand meaning, we must consider the opposite,” says Aditya Chakrabortty. 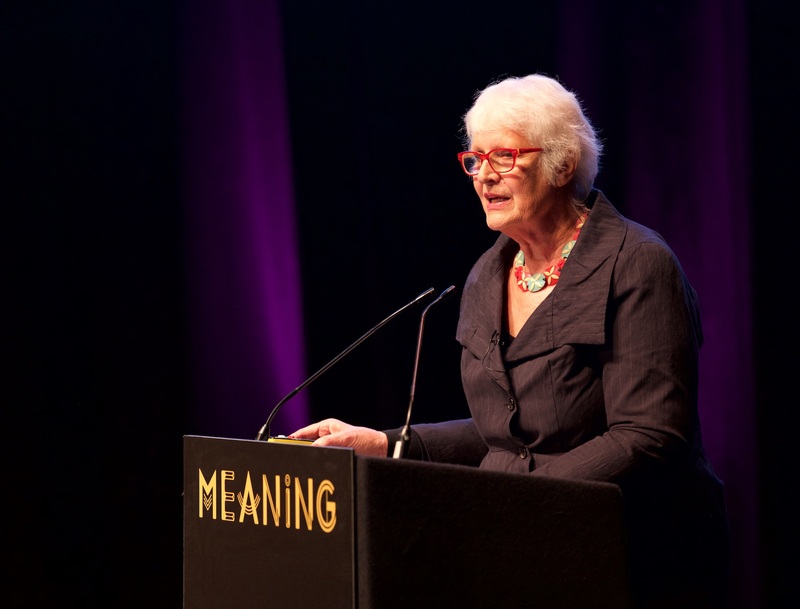 “Meaning is found in balance and harmony across many dimensions,” says Lani Morris. It’s 9am in the bustling Brighton Dome and the air is buzzing with ideas and excitement. Under the stunning Regency arches stand some of business’s best: the thinkers, dreamers and doers – the people who have ideas for a better future and are itching to make them happen. 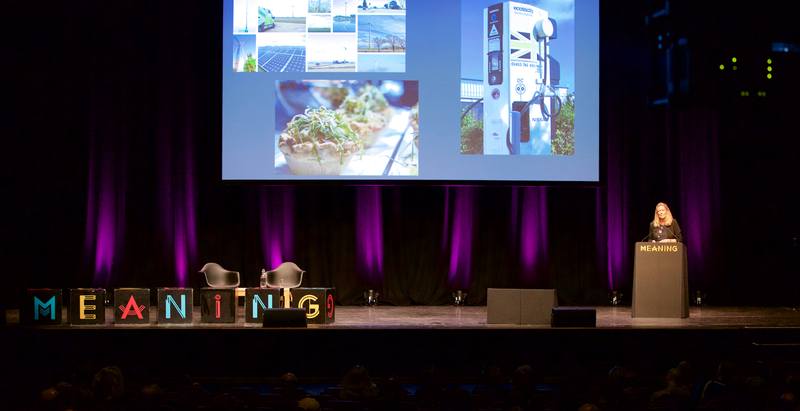 The tannoy tells us it’s time, and we head into the grand auditorium to sample the “delicious tapas menu of speakers from all over the world” as our host for the day Neil Mullarkey puts it. And he’s not wrong. 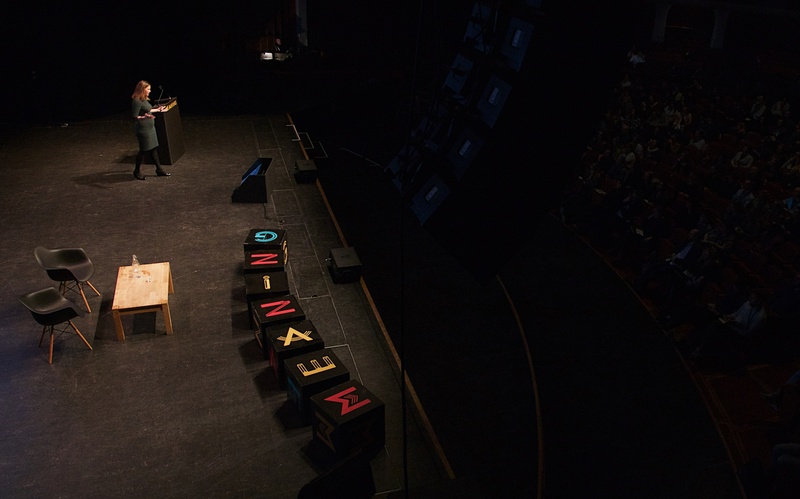 The line-up of this year’s Meaning is a kaleidoscopic collection of corporate creativity. Not least Neil himself – he’s a founder member of the Comedy Store Players, actor, businessman and Guinness World Record holder. Neil starts by asking us “Has purpose been a bit mangled?” and goes on to talk about how the answer to making the world a better place can only involve business, as he introduces our first speaker of the day. The Guardian’s Aditya Chakrabortty transports us to the Welsh town of Llanhilleth in south Wales: a town of social and economic decline, and a place which voted Leave in the 2016 EU referendum. Chakrabortty tells us the story of one of the town’s residents – Gareth Meek: a man he met while visiting the town, and a man who made him understand the town’s decision to leave the bloc. Meek’s hometown had been overlooked by the government for decades, with the traditional industries declining and government funding unlikely. 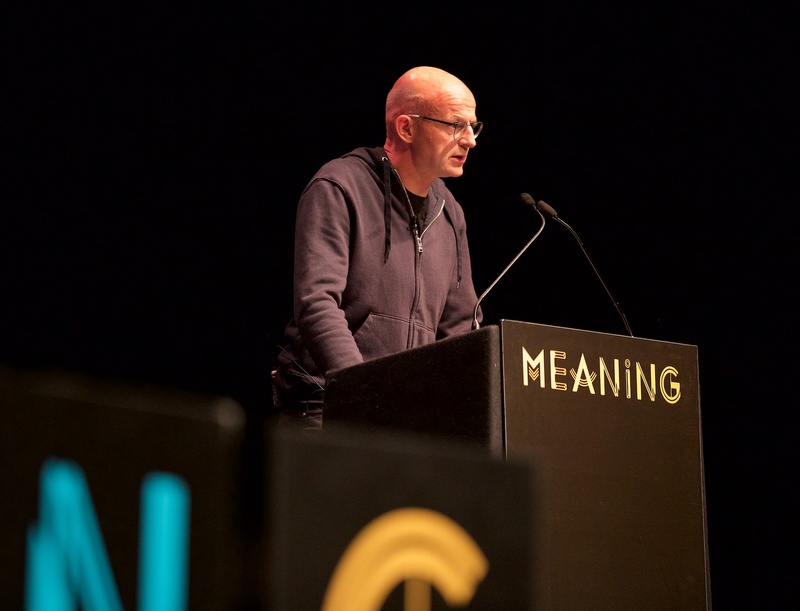 Finding meaning is one of the most fulfilling things that we can do, especially in our work, but it’s not easy – as we learn from the story of Gareth Meek. Lips-Wiersma asks us how we find our information about meaningful companies. And tells us how we need to be responsible for our own meaning. “We all have an existential yearning, and we would all like our work to really matter – meaning emerges from the bottom up,” she tells us. How far will artificial intelligence go? Dan McQuillan from Goldsmiths joins us next, and tells us “It’s mathematically impossible to produce all round fairness – we can’t satisfy everyone.” He goes on to talk about how humans have unknowingly been imperative to some of the world’s biggest technological advances. He talks about Facebook’s facial recognition software, and how, “without realising it, we have trained a machine.” Solely by using the software, we have strengthened the algorithm’s capacity to perform. But this poses the question: how far can it go? With smart speakers in our homes monitoring changes in our speech, will snatches of chat with Amazon’s Alexa one day mean that it’s a viable replacement for a screening interview with a psychologist? “It’s not a silver bullet for mental health services,” he surmises. 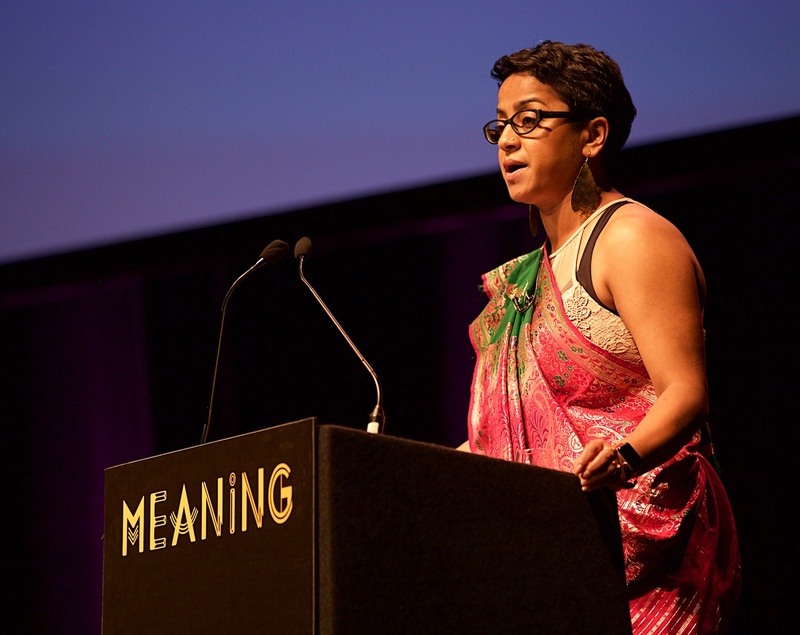 Staying with mental health, next to join us is Poppy Jaman, who delivers one of the most emotive talks of the conference. Poppy tells us about Mental Health First Aid England, a community interest company she started in order to normalise mental health and treat it on par with physical health. “Mental ill health costs the UK government £99 billion each year, with 91 million days lost per year because of it,” she tells us. 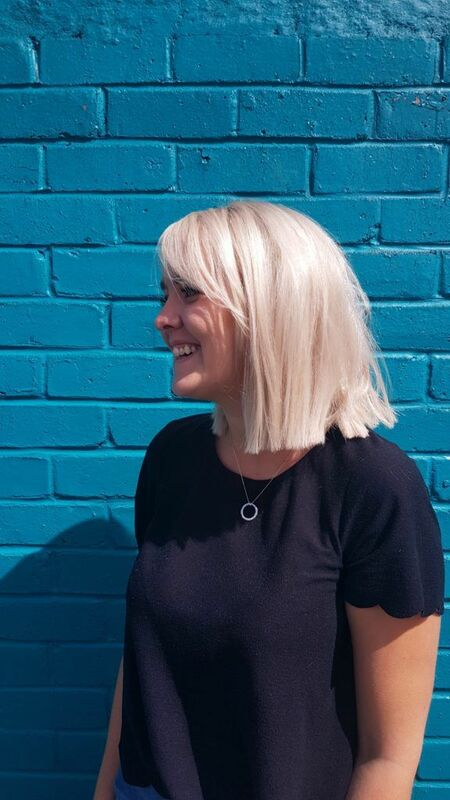 Poppy’s vision with Mental Health First Aid was to take people from a place of shame to a place of hope, to remove the stigma surrounding talking about our mental health. We hear Poppy’s story; the story of how she, as a second-generation Bangladeshi, was brought to Portsmouth by her young parents who were, “a young family, looking for identity in a place where nothing feels familiar.” As Poppy grew older, her life became a series of contradictions – she was head girl, but would bunk school. Her risk-taking got so bad that her parents decided that she should marry. She soon found herself married to a man that she had only met twice, and pregnant – all before the age of 20. “I became depressed. I wanted to be a good parent, and I also wanted to die,” she tells our packed room of delegates – you could hear a pin drop. Next stop: lunch. The delegates whirr out of the auditorium and into the queue for a delicious vegan lunch, which was provided courtesy of The Secret Restaurant. And delicious it was. The Dome is once again alive with conversation, as guests dissect the morning’s talks, ideas already starting to brim, and collaborations beginning to seed. The afternoon setup is slightly different, with delegates having the option to remain in the auditorium for the upcoming talks, or to break out into workshops. 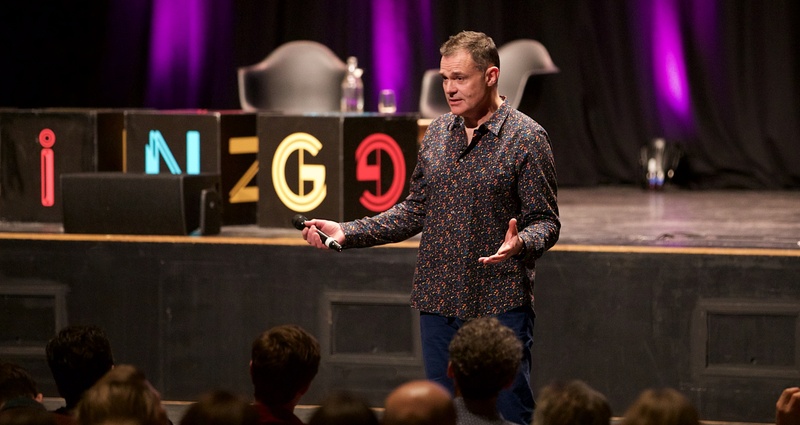 Most of us will recognise Neil Mullarkey as a pioneer of improv comedy – but what brings a comedian to a business conference? We find out after lunch as we learn a few tricks of the improv trade, and their usefulness in business. 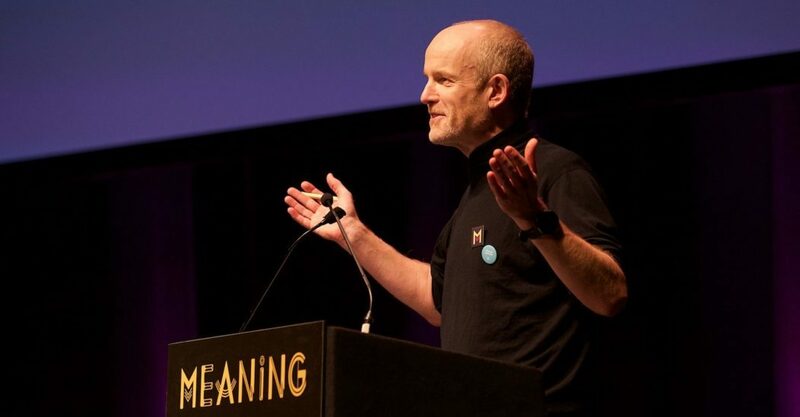 Selecting members of the audience, Neil poses the question ‘What does collaboration mean to you?’ And as we learn more about our Meaning peers, we learn more about what is important to us when it comes to business and the power of collaboration. We learn why it’s so important to use the positive ‘Yes, and’ as opposed to the perhaps negative ‘Yes, but.’ We also learn that it’s incredibly important to just have a laugh. Business doesn’t need to be serious to be seriously successful. When we were forced to ground the flights, we managed it in a matter of hours… why then, when we are warned of catastrophic climate change, are we unable to perform similarly? Something to ponder. Still full from our (you-wouldn’t-even-know-it-was-vegan) vegan lunch, talk turns to the world’s greenest football club, as Forest Green Rovers’ Helen Taylor takes to the podium. She carried a simple message: “Be bold. Be brave. Believe in what you want to do.” It’s certainly a mantra that those at Forest Green Rovers abide by: it’s the first vegan football club; it has solar panels and electric vehicle charging points; and it’s got plans in the pipeline for the world’s greenest eco park. Helen’s remarks are the perfect introduction to our penultimate speaker: Fairphone is the modular smartphone company that has created a fairly-made phone, easily broken down into all its component parts (think: camera, screen, casing, battery, etc.) so that the customer can replace and upgrade their handset as and when they need to. Taking the power back, Fairphone users have the best of both worlds, as they can bypass costly phone upgrades and maintenance costs, while also helping to end the economy of conflict minerals. 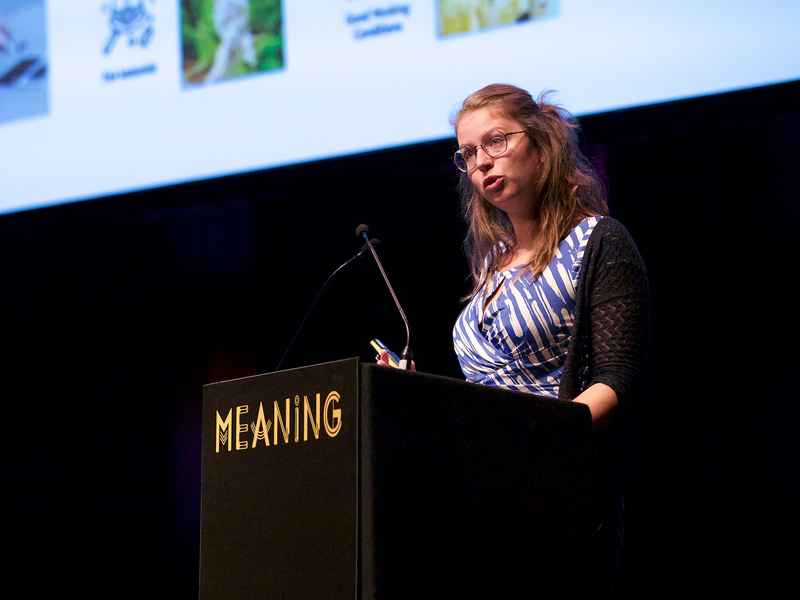 Fairphone’s Bibi Bleekemolen explains how the company is finding ways of avoiding conflict minerals – such as gold, tungsten, copper and cobalt, to name a few – in the production of its smartphones. 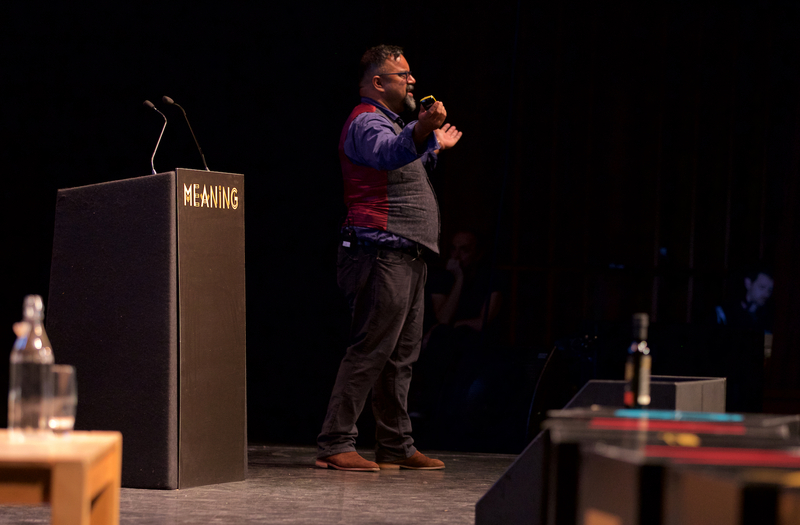 Atif Choudhury is the co-founder of Zaytoun – the world’s first Fairtrade olive oil. He is here to tell the story of the Palestinian olive farmers facing isolation and injustice, and being forced into poverty by military presence. Atif, who had “never tasted olive oil until he was at university”, found himself feeling powerless at the unfolding Israeli-Palestinian war, and decided to travel to Palestine to volunteer his help. This decision set him on the path to where he is today – bailing bottles of olive oil through military checkpoints, past the looming West Bank barrier, (or, ‘The Wall’), through closed ports, all the while hoping that they will be permitted to leave the country. All this is done to simply preserve the ancient Palestinian tradition of trading in olive oil. The olive tree is native to the lands of Palestine and Syria. The tradition of producing olive oil in Palestine dates back over 3,000 years. Since the military occupation of Palestine, olive groves have been destroyed, olive farmers have been killed and their land has been snatched away from them. Zaytoun is re-establishing the market for olive oil in the region, and restoring people’s means to live with dignity and hope. The auditorium erupts with applause as our final speaker brings Meaning 2018 to a close. We all shuffle out of the auditorium with smiles on our faces, and the seeds of our own ideas well and truly planted.